Metal Working Youtube Channels List. The Best Metal Working Youtube Channels from thousands of Metal Working Youtube Channels in our index using search and social metrics. We’ve carefully selected these youtubers because they are actively working to educate, inspire, and empower their audience with frequent updates and high-quality videos. About Youtuber Hey! My name is Alec Steele, I'm a blacksmith and Youtuber. This YouTube channel is designed to give you an entertaining insight into the life of a blacksmith in the 21st Century. About Youtuber Hi. I'm Jody. i make welding videos every single week on youtube weldingtipsandtricks. These videos are intended for entertainment and inspiration. Welding is dangerous. Always seek professional advice and training before using welding equipment. About Youtuber Welcome to YouTube channel by Chandler Dickinson. This channel contains videos on the making of various weapons and other materials by the use of a Forge. About Youtuber Walter Sorrells is a bladesmith specializing in blades inspired by the Japanese tradition. He also produces a series of instructional videos outlining the major crafts involved in forging Japanese swords. About Youtuber This Old Tony is a DIYer that just likes to make things. With his comedic overtones, Tony walks you through all sorts of builds; from an end mill grinding fixture to a custom espresso pot. About Youtuber Hello, my name is Adam. Welcome to my home machine shop. I like to take videos of my work and share them with others here. I try to be helpful and informative with my job and work descriptions in hopes that others my learn the machining trade as well. About Youtuber Hi, I'm Torbjörn Åhman. I make videos to share my creations and inspire other people to create. The channel isn't too big yet, but there are some really interested projects that look like great learning opportunities and memorable gifts. I'm looking forward to many more videos from this awesome craftsman. About Youtuber My main interest is model engineering and there are videos showing some of the engines I have built and also videos showing how some parts were machined. There is a series of videos showing how I cast my own metal parts mostly using easily found materials. About Youtuber Aluminum welding and fabrication, along with other miscellaneous videos. About Youtuber The Oxtoolco YouTube channel is an ongoing video journal of a life spent designing and building special tools, instruments, and mechanical devices for the scientific, medical, product development, and metal working industries It is also a place to share and expand skills and techniques among other practitioners. About Youtuber Build Something Cool is a channel that shares everything about working with metal. About Youtuber Hi I'm Ron Covell and my channel has short versions of my most popular DVDs on Metalworking and Welding. About Youtuber Lazze Metal Shaping videos are here to help you reach your dreams in metal fabrication. For hot rods, antique cars, restoration, custom cars, and art. Lazze provides tips, tricks, DIY, how-to, and techniques to make metal do what YOU want. About Youtuber Learn about CNC, robotics, and how to build cool stuff in your garage. I like to tinker with just about anything. Follow my adventures as I built combat robots, CNC machinery, and more! About Youtuber This channel is dedicated to Metalworking videos! Previously known as GreatSamson3000, I had to create a new channel. I run my own metal fabrication business, Wide Vision, in Rural, North West Kansas, just outside the big village of Palco. About Youtuber I build signs, furniture, and decorations out of mainly metal professionally and make videos about some of those projects. About Youtuber We make videos to share our adventures and wisdom gained in metalwork. Projects include welding and metal fabrication, CNC plasma cutting, milling, and lathe work, and good old fashioned hand-crafted creations. About Youtuber This channel is mostly about metal work and homemade tools. About Youtuber Videos on Small lathes, milling machines and other metal forming machines. About Youtuber CNC Milling, CNC Plasma Cutting , welding and fabrication in West Baden Springs, Indiana. I try to put out a project video weekly involving some machining or fabrication. 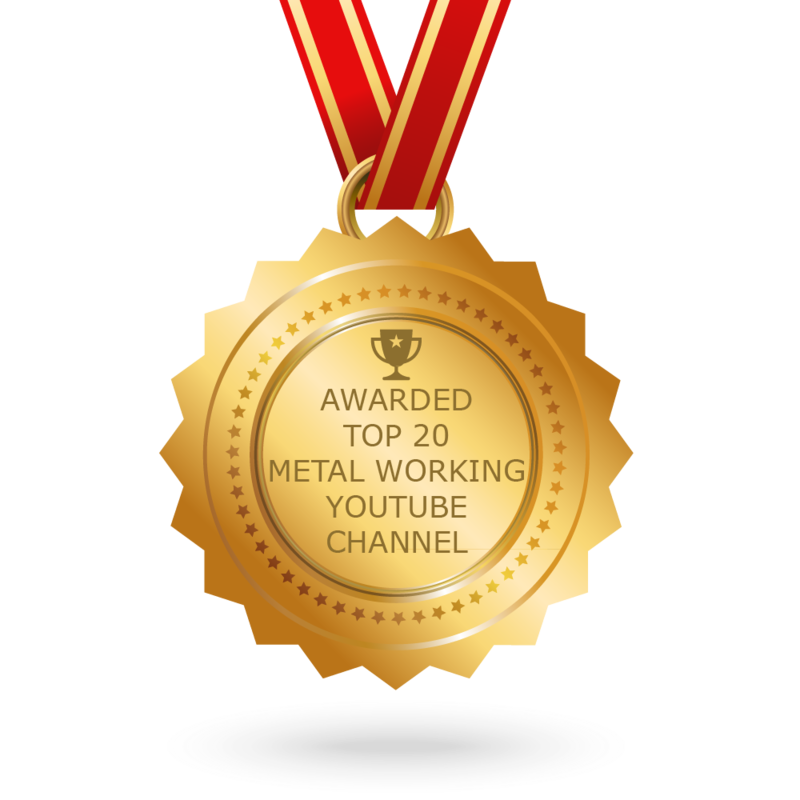 CONGRATULATIONS to every youtuber that has made this Top Metal Working Youtube Channels list! This is the most comprehensive list of best Metal Working Youtube Channels on the internet and I’m honoured to have you as part of this! I personally give you a high-five and want to thank you for your contribution to this world.